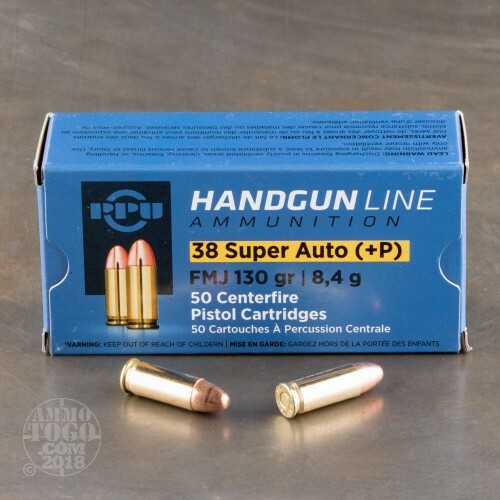 This 38 Super Auto +P cartridge is made by Prvi Partizan, which has been in the business of making high quality ammunition since their foundation in 1928. The Serbian company is majority owned by their government, and supplies their nation’s armed forces and law enforcement agencies in addition to shooting enthusiasts throughout the world. They’re well-known for their meticulous approach to engineering and quality assurance, and they deserve the reputation for great quality that they’ve fostered over the past nine decades. 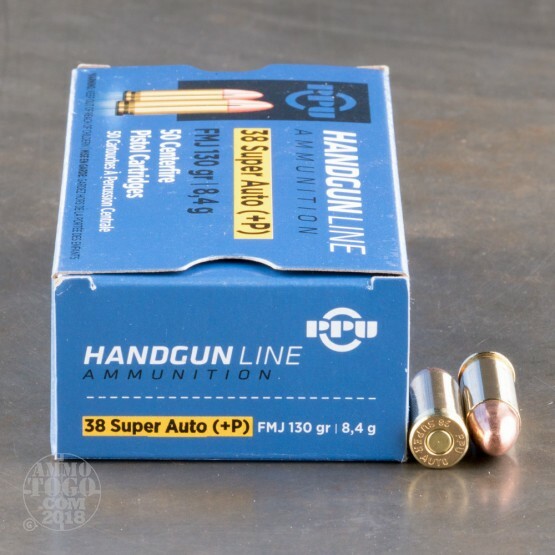 This round is perfectly suited for training, as its 130 grain projectile is wrapped in a full metal jacket. 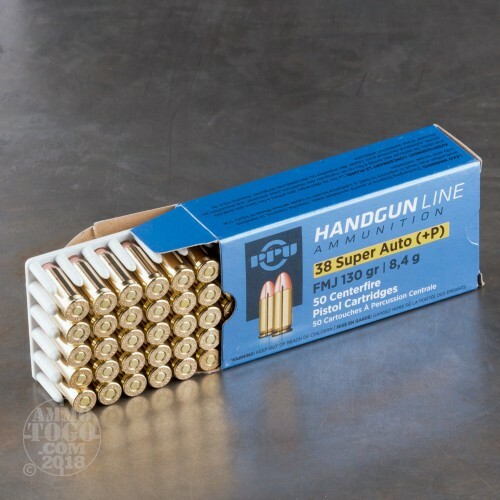 That means this cartridge will not only feed efficiently, but also prevent your pistol’s bore from rapidly accumulating the kind of lead residue which would have impacted its accuracy. 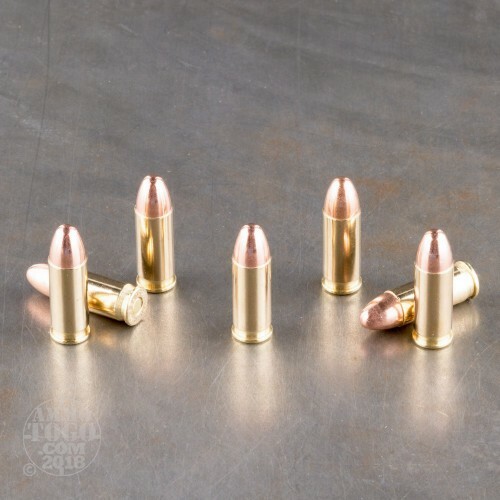 This round’s new production brass casing is ideal for the handloading enthusiast, and its non-corrosive primer means it will remain ready to go in its box for several years.